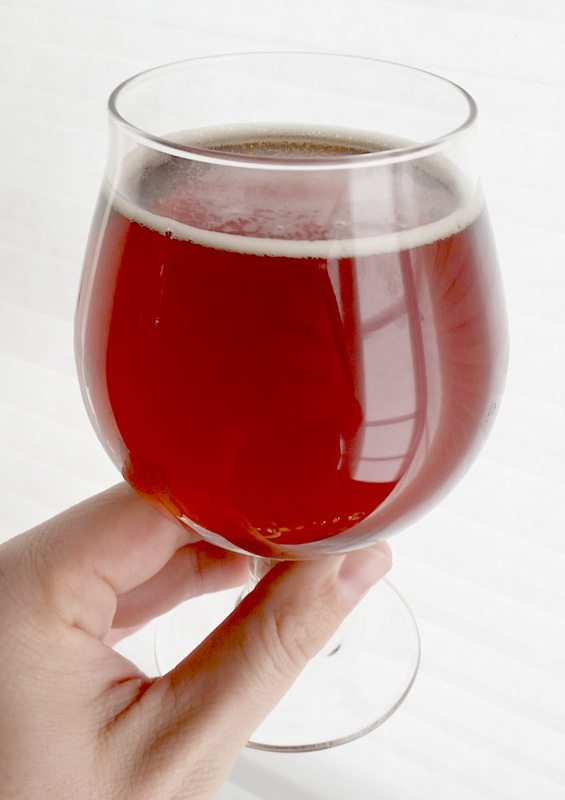 My altbier has been on tap for over a month, and seems to be at peak flavor. Time for a tasting! Original gravity = 1.052, final gravity = 1.008, abv = 5.8%; estimated IBU = 28. Exceptionally malty, with a strong caramel/sweet note (thank you, honey malt!). I do not pick up much in the way of hops, esters, or other components. Brilliantly clear, with a deep amber, almost copper, hue. The head is low and ivory colored, with excellent retention. Moderately-high degree of maltiness, which is predominated by caramel aspects at the front end and a bit of breadiness at the back. It is rather bitter, and the bitterness has a distinct but clean character. There is a very modest perception of sweetness, but it is not overwhelming. The maltiness and hopiness are really nicely balanced, although it is definitely the bitterness that lingers longest on the finish. This is a medium-bodied beer, with medium-high carbonation. I quite like this beer, particularly as a way to try out a new style along with some malts that depart from my usual repertoire. The gelatin definitely did the trick for fining this out (particularly so when melded with the ingredient of time in the keezer). It departs from the altbier style in some ways (e.g., head is a bit lower than optimal for the style, and I didn’t use much in the way of German ingredients), but as a variation on that theme, it’s darned good. I can’t say it is in my “brew and drink every day” category (it’s a little too ‘massive’ of a beer for that), but it’s definitely in the “brew every once in awhile and enjoy” category.